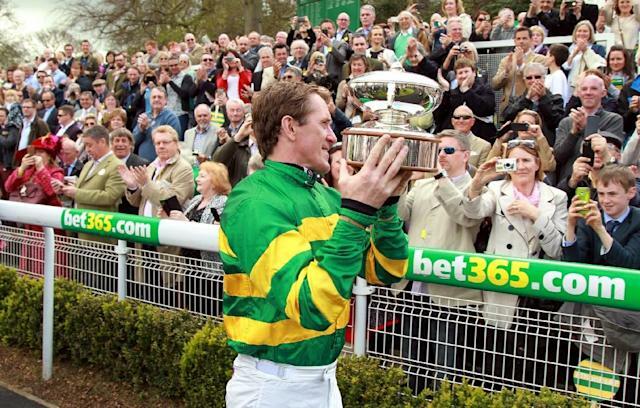 Ascot (United Kingdom) (AFP) - Bob Champion battled back from cancer to win the Grand National whilst record breaking AP McCoy broke nearly all the bones in his body before finally triumphing in the world's greatest steeplechase at his 15th attempt. Champion may be 70 now and his magical win on Aldaniti almost 40 years ago but it still strikes a chord with aspiring jockeys who were not born at the time. 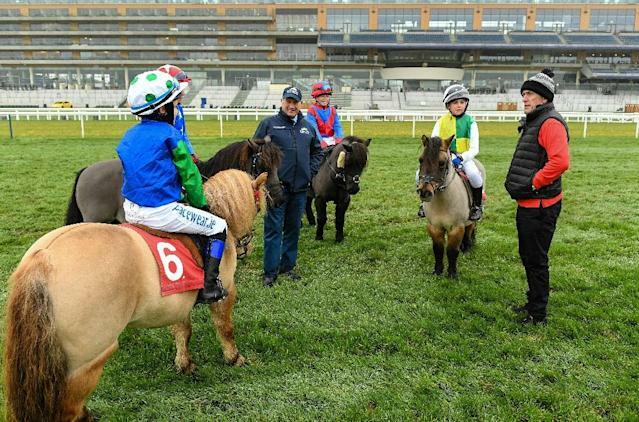 Indeed he and McCoy gave four young riders some advice at Ascot racecourse last week as they rode Shetland ponies over mini Grand National fences. Champion was diagnosed with testicular cancer in 1979 and was given six to eight months to live or a 35-40% chance of living if he underwent chemotherapy. However, as he told AFP even with the treatment at the Royal Marsden Hospital near London he became so low he gave up the will to live. "I just didn't want to live anymore because it was horrendous those days," he said. "I ended up walking through the children's ward and saw all those children not making a fuss like I was. "I was supposed to be grown up and they were children, and I thought well 'If they can go through with it, so can I'." Champion says there was no looking back after that experience. "So I went back to the ward and got wired up again for more chemotherapy," said Champion, whose charity has raised £15million which has funded the construction of two research laboratories one at the Royal Marsden and one in Norwich. "I've got to be really grateful to those kids, because if I hadn't have gone through that children's ward I would have given up." His remarkable story was turned into a film with the late John Hurt playing the lead role. 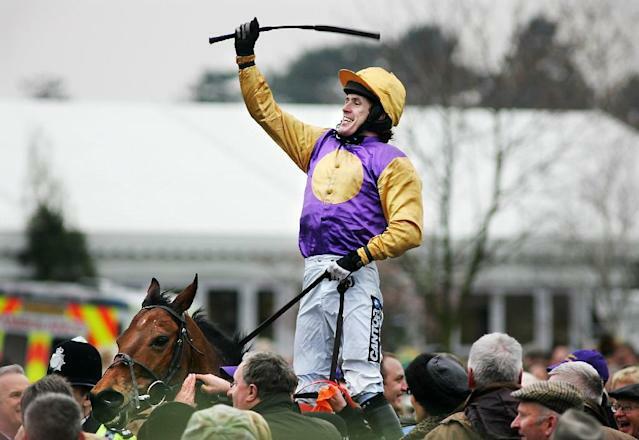 McCoy, who says his greatest achievement was breaking Gordon Richards's total of winners in a season in 2002 and winning the 2010 Grand National on Don't Push It, has since retired and become president of the Injured Jockeys Fund (IJF). However, the 44-year-old 20-times champion jockey admits retiring has not been easy even from a sport as risky as the one he bestrode. "The job is a dangerous job," McCoy told AFP. "There's not many other walks of life where you go out with two ambulances following you around every day. "Sadly through my career I saw colleagues being fatally injured, and that's something you never get over." McCoy, who admits he is not the best teacher as he is too frank and has been forbidden from coaching his daughter who is a keen show jumper, says there are several things he misses from his time in the saddle. "It's very difficult to try and replace that buzz," said McCoy, under whose watch the IJF is due to open a third rehabilitation centre named after the famed TV commentator Peter O'Sullevan. "Obviously being president of the Injured Jockeys Fund, this is a difficult thing to say but in some ways I miss the danger, I miss the risk. "But I miss the winning more than anything else. And how you ever replace that, I don't think you ever can. "But at the same time I feel very lucky that I lived the dream." The four wannabe jockeys -- aged between nine and 13 -- can only dream for the moment of attaining such heights as Champion and McCoy. One of them Lucas Murphy was born a year after his father Timmy won the National in 2008 on Comply and Die and was a bit non-plussed when his dad sat him down to watch a recording of the race. "It was exciting to watch, then he won it and I was relieved. Very proud as well." McCoy and the mini-jockeys will compete at Olympia Horse Show 'Race Night' on December 21, featuring the Markel Champions Challenge in aid of the IJF and the Shetland Pony Grand National in aid of The Bob Champion Cancer Trust.